Reception 6.30pm. Duke of Gloucester Lecture 7.30pm followed by dinner. Dress: black tie. Former head of MI5 Baroness Eliza Manningham-Buller gives this year’s Duke of Gloucester lecture on the theme of ethics and intelligence. The talk is preceded by a reception in Blenheim Palace’s Great Hall and followed by the festival’s literary dinner in the Orangery in the presence of HRH Duke of Gloucester and hosted by Their Graces The Duke and Duchess of Marlborough and by Ian Stuart, chief executive, HSBC UK Bank plc. The dinner is devised and overseen by Chinese chef, food writer and broadcaster Ken Hom. Manningham-Buller spent 30 years in MI5 including a spell as director general between 2002 and 2007 and prior to that as deputy director general with responsibility for operations. In her book, Securing Freedom, she talks frankly about some of the key events and issues during her tenure including 9/11, the rise of al-Qaeda, torture, gathering of intelligence and the rule of law. Manningham-Buller is now chair of Wellcome Trust, a global charity that aims to improve health for everyone. She has been a crossbench peer in the House of Lords since 2008. 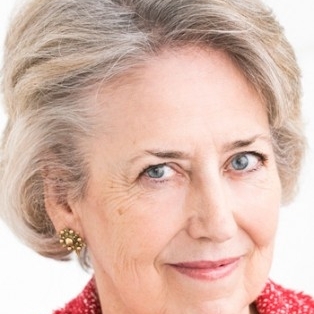 The Duke of Gloucester lecture was given by then prime minister David Cameron in 2015, by the vice-chancellor of the University of Oxford professor Louise Richardson in 2016 and by broadcaster and historian of the Church professor Sir Diarmaid MacCulloch in 2017. Dinner is prepared by the palace chefs overseen by Hom. He is author of dozens of books on Chinese and Asian cookery and has presented his own cookery shows on television. He was awarded the OBE for services to culinary arts in 2009.